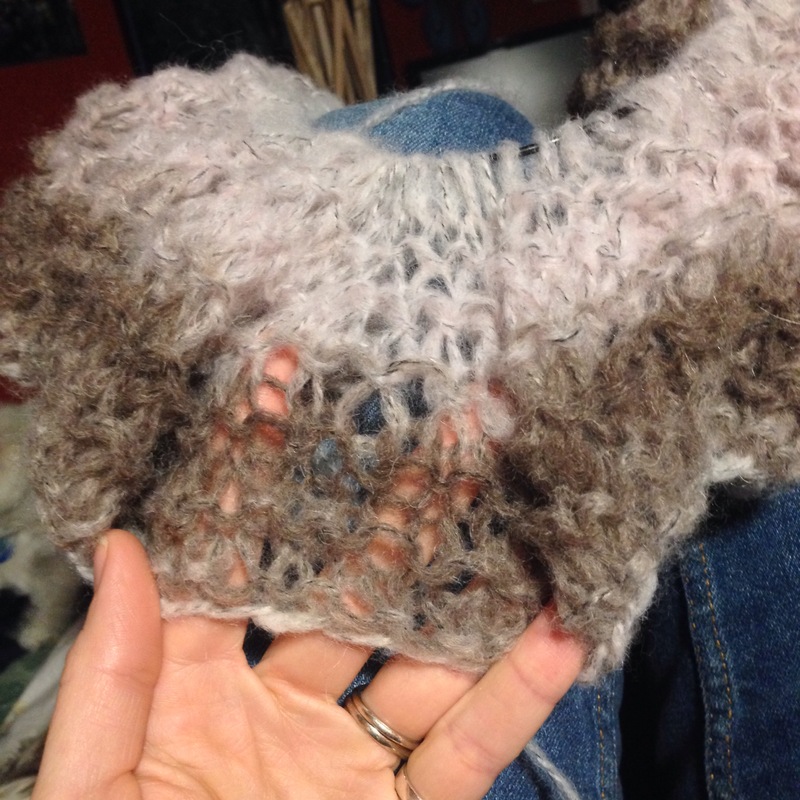 Have you ever started knitting and not have a pattern or any idea what you might make? Well I received this fluffy mohair blend ages ago from a friend. It’s pink/brown waves of color in a gigantic ball!! Any stitch pattern would just get lost in the fluff so I’m straight knitting an unknown amount of stitches, for however long I feel like it. 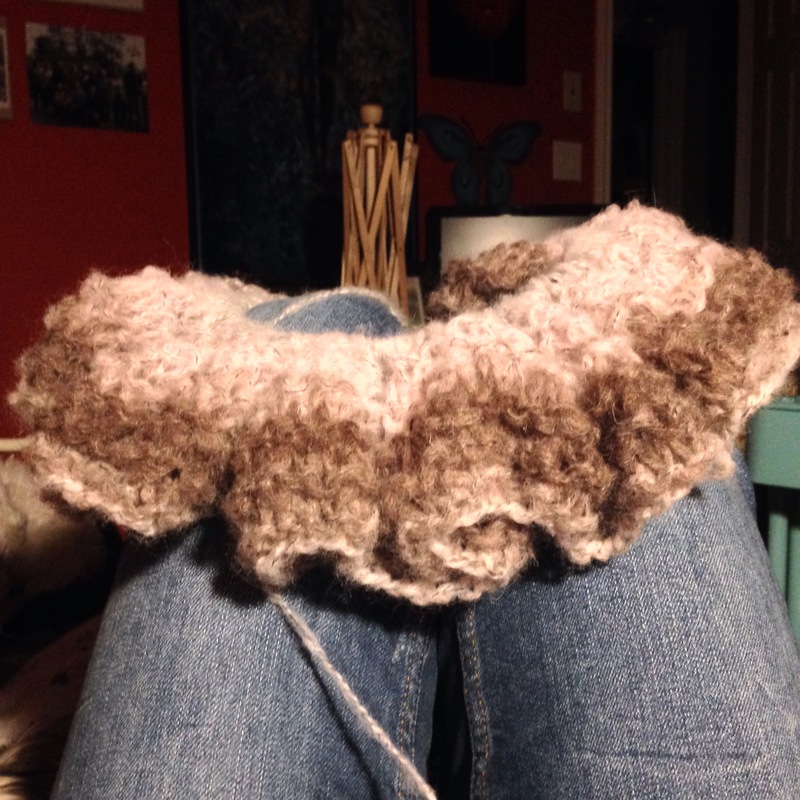 I can see a fluffy wrap or shawl like creature taking form…wish me luck! That looks so luscious and soft! !